Zaterdag 8 juni organiseren we in samenwerking met Reyn voor Lichaam en Geest yoga studio een dag vol sup, yoga en sup yoga. Na de yoga sessie en een kopje thee stappen we op onze sup’s en suppen we teug naar M&M SUP en zullen we onderweg nog wat sup yoga en su pilates oefeningen doen. We zullen terug zijn rond 17.00-17.30 waar we de dag afsluiten met een drankje. Voor deze sup en yoga dag is het vereist dat je enige sup ervaring hebt want de eerste sup tocht is twee uur en zal zo’n kilometer of 9 zijn. Voor het yoga onderdeel hoef je géén ervaring te hebben. Mocht je graag mee willen doen en nog nooit gesopt hebben boek dan vóór 8 juni een paar lesjes bij ons. Omdat dit een actieve dag is willen en we het graag gezellig willen houden is er slechts plek voor tien mensen. We starten deze dag om 10.45 bij onze supschool: Zeeburgerpad 10, achter de ijzeren hekken, ook te vinden omdat er een M&M SUP vlag staat te wapperen! Daar kleden we ons om en maken we ons klaar voor de suptocht. We raden je aan op zijn minst twee setjes yoga kleding mee te nemen, een korte benen en korte mouwen en een lange benen en lange armen mocht het toch nog wat fris zijn. neem ook een handdoek mee en een paar flipflops aangezien we een ook een paar keer op straat zullen lopen. de flipflops kunnen mee op de sup. Neem ook een fles water mee voor onderweg, deze kan ook mee op de sup. Al je persoonlijke eigendommen liggen bij ons veilig achter slot en grendel als we weg zijn! Inschrijven via morene@mm-sup.com , ook als je nog extra vragen hebt. If you book before december 15th we offer €200 discount! Price €1150,- If you book before 5th december you pay €999!!! Because it's fun to travel around Holland and paddle on new waters we offer this 1000 island tour in Broek op Langendijk in coop with sup school Leersup.nl. Let's get lost in between these thousand islands, enjoy nature and the sunset in the North of Holland together while paddling. The route is about 7 kilometers so a bit of sup experience is needed to attend this tour with us. Cost €25 if you need rental gear and €10 if you bring your own gear. As we have a limited amount of rental boards do sign up in time! 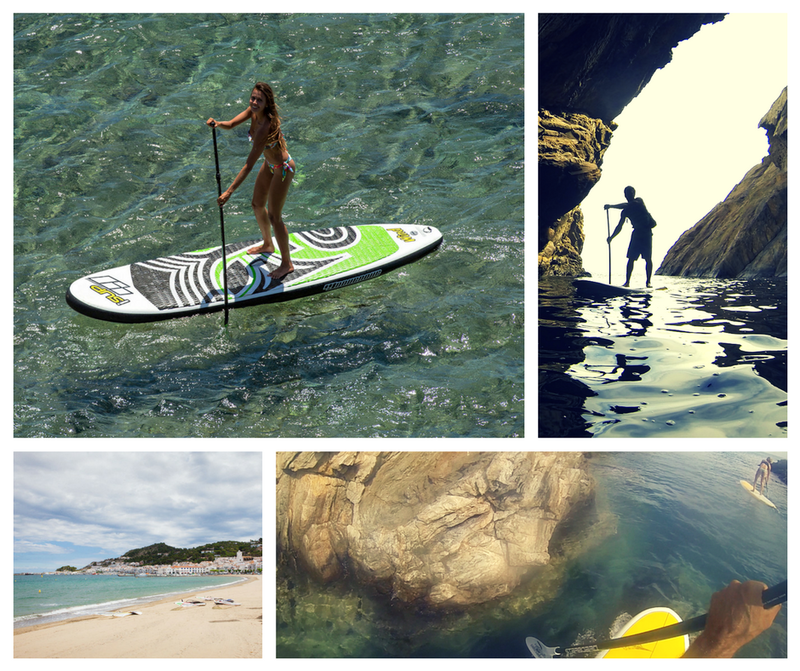 A 4 day and 3 night weekend filled with sup, yoga, sup yoga and beach time! Price for this long weekend is €450,- which includes accommodation, all activtities as on the program, transport to activities if needed, 3x breakfast, pickcnick during our long paddle tour and 1x lunch. Cost €30 if you need rental gear and €15 if you bring your own gear. After the tour we offer you a free drink. 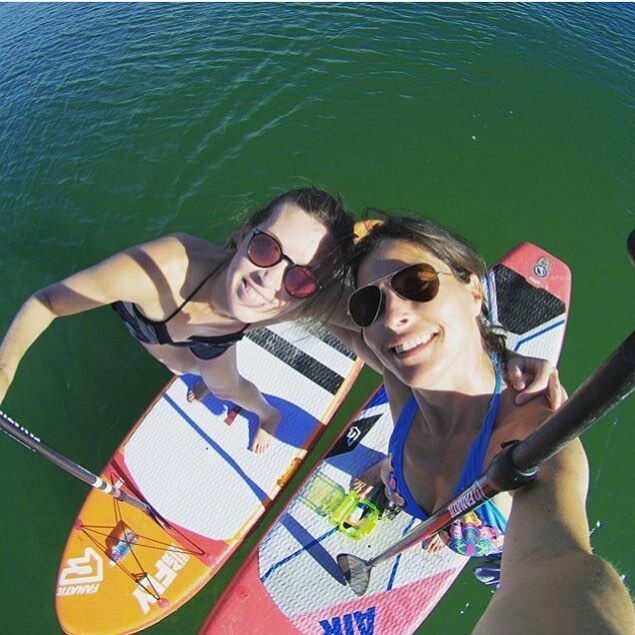 Together with Moloka'i SUP center in Barcelona we offer a long weekend city sup trip 19th April - 22nd April. Off course we also offer enough free time to also go out and explore the city by foot or we can arrange rental bikes. The hotel is a clean, trendy hotel on a 15 minute walking distance from Moloka'i. Molokai'i is located 200 meters from the beach in the older part of Barcelona which is a great area with a surf vibe and excellent for chilling, hanging on the beach and strolling down the boulevard. The sup center has shows, lockers and dressing rooms. 20th April : SUP Trip outside Barcelona with the van to one of the area's around the city. This trip will take the entire day. (2 hrs) with the equipment. Getting ready to pack and leave for home, if you have a flight at night this gives you some extra time to explore the city. Off course you can always rent the board more and longer for €10 per hour. Price is €565 for a private hotel room and €425- for a shared (2 beds) hotel room. The price above also includes breakfast for three nights, all activities and gear needed during the activities. Lunch and dinner is excluded. Flights from Amsterdam leave several times per day and are aprx €100/€150 for a round trip. A taxi from the airport to the city is aprx €30 and easy to share with 4 people! Together with Windtown Langebaan (SA) we offer another sup yoga kite week. The location is perfect for morning paddles as the lagune is calm then and the wind only starts blowing around lunchtime. While paddling you might even meet some seals. Afternoons are perfect for kiteboarding or other activities we offer such as a mountainbike tour and a game darive to spot some wildlife. As the first Light paddle filled up that fast we organise a second one. From 30th November till 21st January Amsterdam will be filled with huge light objects made by artists from all over the world. 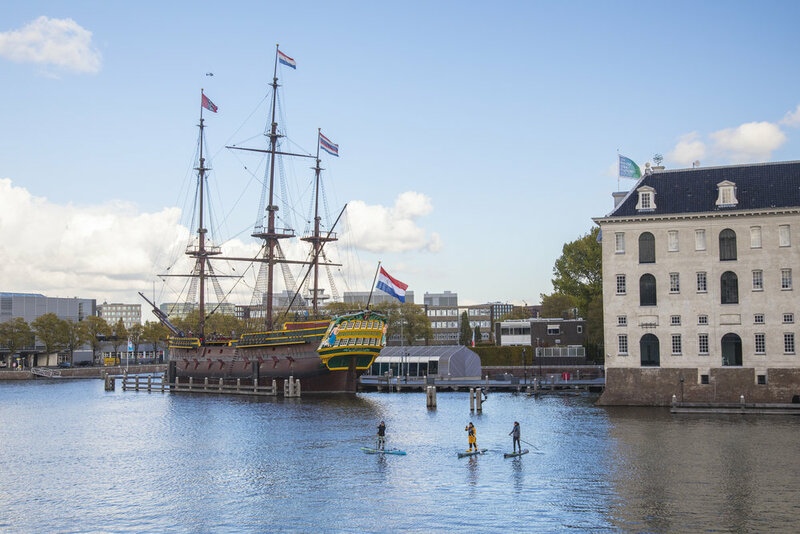 We'll take you out on a paddle tour to see some of these objects on the Amsterdam canals. You can attend this tour with your own gear and only when you are an experienced paddler! You also have to take at least one 'headlight' so you are visible on the water. As we need a permit for this tour we need to obey their rules and regulations which means we are not allowed to paddle the full light route as on some of the locations it is too busy with boats and can be dangerous for us paddlers. We meet at café Langendijk - jetty Zeeburgertstraat 1 and take off at 18.30 sharp! When we come back it is time for (hot) drinks at the bar. They kindly asked us not wo come in with stripping wet wetsuits! From 30th November till 21st January Amsterdam will be filled with huge light objects made by artists from all over the world. We'll take you out on a paddle tour to see some of these objects on the Amsterdam canals. After another great SUP YOGA KITE week at Bonaire last week we immediatly set a date for the next one in Fall '17. We'll communicate some more dates for winter '17-'18 too. 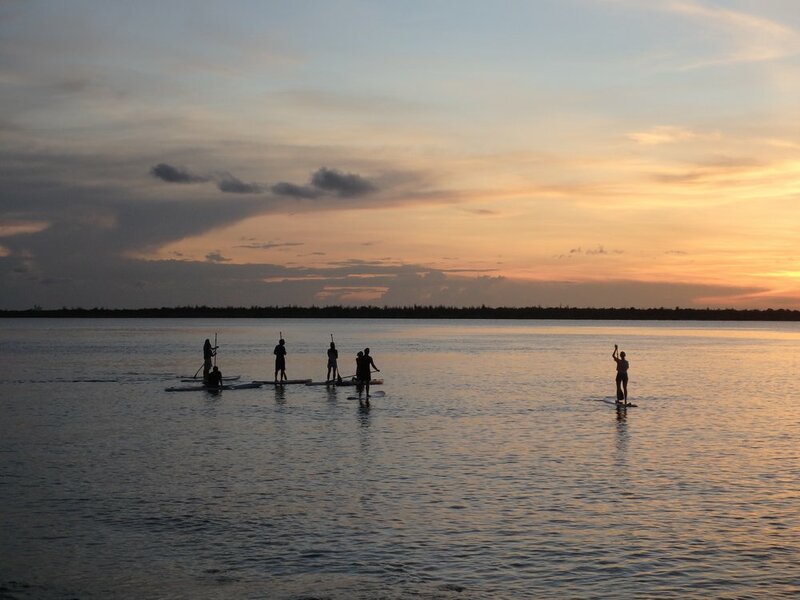 Again we'll offer a wide range of activities such as: YOGA, TRX, SUP, SUP YOGA, KITEBOARDING, an optional relaxing massage, SNORKELLING and if the wind doesn't show up we'll add a WAKEBOARD SESSION to the week too! Pff course we also give you some free time to chill at the Windhoek Pool, beach and explore the island. *The program might change due to weather conditions . Price €1225,- including 7 nights accommodation, all activities, drinks & snacks during activities, 7x breakfast and 4x dinner at Windhoek, excluding alcoholic beverages and extra drinks ordered at Windhoek. We also supply a car which brings you to all activities organised ny us. If you want to explore the island on your own we advice you to rent a car or scooter. We can organize that for you; scooter (sits 2) $25 per day and a car (sits 4) $45 per day. At arrival you receive a goodybag filled with lot's of stuff you need during our activities. Tickets are reasonably priced and the sooner you book the cheaper it will be. KLM and TUI Fl offer the best deals out from Schiphol airport. If you cannot attend this week and are up for another week let us know as we will organise more sup yoga kite weeks throughout winter 2017 and 2018. Always wanted to teach sup & yoga or planning on starting your own sup & yoga school? It helps to have a certification before you start as that means you know how to teach safely. We are super proud to offer a SUP & YOGA 3 day teacher training this summer together with PURA SUP (Wieneke van de Aa) and Supclub Eindhoven (Marleen Backx) as we will teach together: water safety, rescue, sup, sup theory, sup & yoga and off course have a fun couple of days together! De teacher training is an official training from the Dutch Watersportvereniging and you will receive the certificate after passing the exam and be listed on their website, the certificate is valid worldwide! *It's preferred you have a Yoga certification | 100 hr. if not let us know on the sign up form what is yiour yoga experience. • Need tips on where to stay the nights? • Question about the lesson material? Just like last year we partnered up with the Urban Sports Week Amsterdam. From the 7th until the 9th of July Amsterdam welcome several urban sports as skateboarding, BMX, urban running, bouldering and a couple more urban sports into town, M&M SUP is also offering some fun activities such as a Friday Night Paddle 7th july 18.30-20.30 and SUP clinics Sunday 9th 12.00-17.00. All SUP activities are for free, do sign up via morene@mm-sup.com as we have limited spots available! As we love paddling and practicing yoga - sup yoga abroad we are super proud and happy to offer a first long weekend of sup and sup yoga at the beautiful Fuschlsee surrounded by the Austrian Alps. Four days of yoga, sup yoga and walks in the Alps. Surrounded by mountains, greens and a quit village where we'll stay the nights in a cosy hotel: Mohrenwirt. The hotel is right at the lake, with a beach and also has a Spa and offers massages. A long weekend of sup, yoga and sup yoga in a beautifull area in Austria. If arriving the 17th dinner is included. Arrival end of the day, evening. Unpack and have dinner, meet and greet the others. Morning yoga (1.5hrs) - Picknick - Sup tour (2hrs) - Dinner at the hotel. Morning mountain walk & jausnen (typical Austrian lunch) on top of the mountain (3 hrs) - SUP Yoga (2hrs) - free night. Morning yoga (1.5hrs) - picknick - SUP tour (2hrs) - free night. Morning SUP Yoga (2hrs) - lunch - pack up and take off. Arrival Wednesday 17th €560,- Includes 4 nights, 2 dinners, 4 breakfasts, 3 lunches, all activities and use of paddle boards during your stay. Excluding trip to get there and additional drinks or massages at the hotel Spa. Arrival Thusrday morning 18th €495,- Includes 3 nights, 1 dinner, 4 breakfasts, 4 lunches, all activities and use of paddle boards during your stay. Excluding trip to get there and additional drinks or massages at the hotel Spa. You can take a flight to Salzburg and rent a car to drove to Fuschl, that's about 1.5 hrs drive. A more fun and perhaps cheaper way is to arrange a carpool date with some others attening this weekend. From Amsterdam it's 999 kilometers, ten hrs and with 4 in one car that means you'll be there in about 8-10hrs. We have limited spots so be sure you book on time to attend this weekend. We will give it a GO or NO GO mid March. First Full Moon Paddle this season at our Blijburg beach location. We leave at 19:30 and depending on wind and weather we'll paddle to Muider castle or 'rondje' IJburg. Rental €25 BYO €12,50 If weather is sweet to us we'll take some drinks for along the way. To attend this 2 hrs tour you do need some paddle experience. 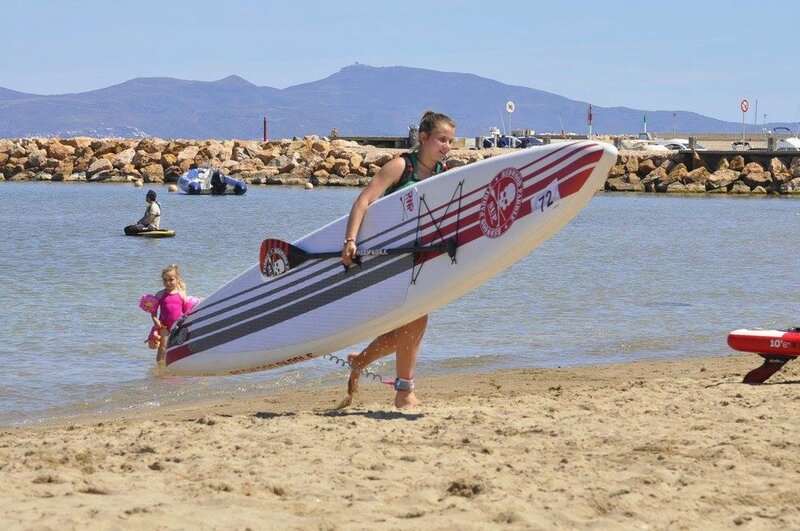 In about 4 months we are about to start sup season again! First survive winter and use these months to make new plans and do some traveling and organise sup trips. As you all might you we are opening a second location in Amsterdam; Amstel Boathouse located right at the Amstel river that runs through the city next season. We're are also going to add regular beach (Blijburg) or jetty (Amsterdam Boathouse) yoga sessions to our schedule for season '17. March 22nd 2017 is World Water Day. We as stand up paddlers use the water daily see the amount of garbage, plastics and other stuff is floating around in our local canals and rivers. To get some extra attention for clean water, for us that means without garbage and for many countries this means a lack of clean drinking water or polluted water. Let's get together and clean the canals and try to raise money we can donate to clean water projects. We start at 18:00 at the Amstel Boathouse and will paddle through town for about two hours and take all plastics and other floating garbage out of the water. We have finalised the program for this second SUP - YOGA - KITE week at Bonaire. As we like to keep it cosy and fun we book a maximum of 10 persons and have now just three spots left. So if you feel like a week of winter escaping to the sun and a lot of activities this might just be the week you need! You do not need any experience as we can teach you kiteboarding, paddle boarding and wake boarding. If you are experienced you are also most welcome as we have enough experienced teachers to also 'entertain' the advanced boarders! Off course there is also enough time to chill on the beach or at the Windhoek swimming pool. Just have a look at the program and let us know if you are interested or in need of any extra information. Send an email to morene@mm-sup.com Tickets (direct) from Amsterdam are super cheap at the moment and can be booked for around €500 roundtrip! Hope we meet at Bonaire in about 7 weeks! After great sup - yoga - kite week in November we organise another one in January. When the days are even darker in Europe it's time to head of to the sunny island of Bonaire for some fun paddle tours, lot's of yoga and kiteboarding action! *The program might change due to weather conditions. Price €1350,- including 7 nights accommodation, all activities and transportation to activities, drinks and snacks during activities, 7x breakfast and 4 x dinner at Windhoek, excluding alcoholic beverages and extra drinks ordered at Windhoek. Tickets are reasonably priced and the sooner you book the cheaper it will be. KLM and TUI Fl offer the best deals out from Schiphol airport. We can also help you out with tickets. If you want a rental car or rental scooter you can do this on the island or pre book one via us; scooter €25 per day and car or rental scooter you can do this on the island or pre book one via us; scooter €25 per day and sits two and cars are around €45 per day and sit about 5 people. We're just back from another sup yoga kite week at the sunny island of Bonaire. Again we had a blast at this sunny island and due to the hard winds we were able to go out for kiteboarding much more then in November. Some of the attendees were already advanced and some first timers and got to learn a lot at this great blue waters and the best place to learn kiteboarding at Atlantis kite beach. Again we had a great stay at the lovely Windhoek resort with it's luxury chalets, private swimming pool and great style. More info about the next week is to be found at our events & trips page on this website or via https://www.facebook.com/events/630176610505862/ where we place updates and news on the week. From December 1st until January 22nd Amsterdam lights up for the fifth edition of the annual Amsterdam Light Festival. Over 35 artworks form international, artists designers and architects find their way to the city of Amsterdam. The artworks are located alongside two different exhibition routes; Water Colors, the boat route and Illuminade, the walking route. One of the best ways to visit the festival is via the waterways as many of the light obkects are located at the water side. We will paddle the on the Amstel river where many of the big lights are to be watched and the 'Magere Brug' is always beautifull. Start and fisnish at the Amstel Boathouse where we can get warm and have drinks afterwards. Amsteldijk 223. As we know fall is always sooner then we want, even though we do enjoy a late summer now, we are offering an extension of summer. In November we offer a full week of sup - yoga - stup yoga - kite fun at the sunny island of Bonaire. Together with Kitesurfing Bonaire and the brand new resort Windhoek we managed to set up a nice program grilled with activities and also offer you some free time on the beach of just hang by the pool to soak up some sunshine. If we have enough people singing up (8) we will give it a go and go book all and let you know tickets van be booked. We are sop looking forward hearing from you and spending this week with you! The sooner you book the cheaper tickets get. At the moment TUI Fly has a great deal of €465 on a round trip A'dam-Bon-'A'dam. Over 2000 stray dogs currently exist on the island of Lesvos. Due to insufficient spay and neuter programs this number will soar immensely. WE ARE HERE HAS A SOLUTION THAT WILL BENEFIT OUR WHOLE COMMUNITY AND GIVE NEWCOMERS TO OUR ISLAND WORK! WE ARE HERE builds dog houses that will accommodate up to seven dogs. Locals help supply the materials and the women of the refugee camps paint them. More importantly we are connected to local vets and have the location and medical support to spay and neuter these dogs. You can support the WE ARE HERE PROJECT with donations for food and special needs. We will paddle from the Amstel Boathouse at the Amstel for about two hours. If your dog is used to spend time with you on the paddle boards please take him or her along! Price to attend this paddle is €25 with your own gear and €40 if you rent a board. Off course you are welcome to donate some extra as all the money will go directly to WE ARE HERE!